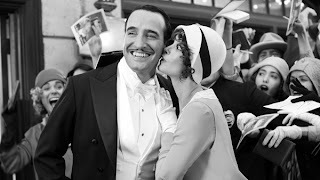 LabuzaMovies.Com: (Not) Talking Movies: Michel Hazanavicius Discusses "The Artist"
(Not) Talking Movies: Michel Hazanavicius Discusses "The Artist"
It may comes as a surprise, but the front runner for this year’s Oscars is a black and white silent movie from France with no movie stars. However, it is an homage to the classic Hollywood era, full of references to masterful films and featuring the glamour of the 1920s. That’s the conceit of The Artist (reviewed here), a film from French director Michel Hazanavicius. His previous films include two spy comedies called OSS 117, which starred Jean Dujardin and Berenice Bejo, who here star as two actors who must deal with the coming of sound as Hollywood transitions. 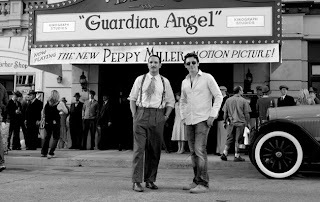 Earlier this year at the New York Film Festival, the director and stars, along with the producer Thomas Langmon, discussed the bold project to bring silent film to a mainstream audience. 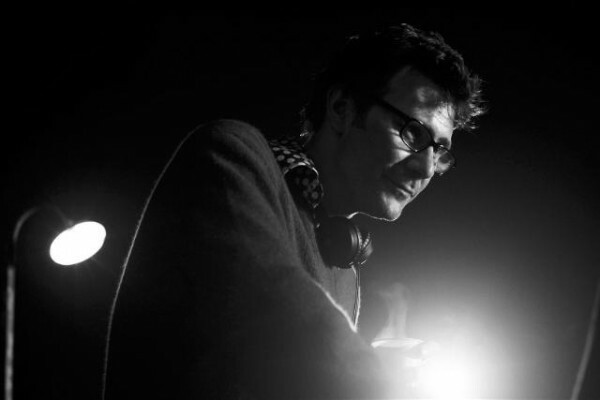 Michel Hazanavicius: The first impulse was to make a silent movie, and I felt it was not something so easy to connect with. Just talking about making this movie, people were saying to me, “Why do you want to make a silent movie?” And the answer was, “Well I want to” but it was not enough. So I had many options for a script—well, maybe two options—but one of them was this one. I think it was maybe easier for to accept to watch a silent movie if the subject is a silent actor. MH: They inspired me—both of them. When I met Thomas [Langmon], he really wanted to make a movie with me. I said, “Okay; we can make a movie together, but I want to make a silent movie.” And he said, “Okay.” And then I said, “I want to do it with Jean, Berenice, Guillaume, who is the cinematographer, and Ludovic, who wrote the music composer.” And he said, “Okay.” So they really inspired the characters and I used them in the writing and I really wrote it for them. Thomas Langmon: Well I had a lot of concerns. But I thought, maybe, yes today, with such a gifted director and my adoration for Michel, I wanted to work with for a long time, I thought yes. When he spoke about making a silent movie, I thought, especially for a producer, “Silent…black and white…” well that’s really not what’s expected…But I thought Michel could succeed in making a silent black and white movie with this love story and if we had to chance to set it in Hollywood to work with American actors, people who wanted a very small part, then it would make it real and with the talent of Michel, it would then make a very good movie. Berenice Bejo: I did a lot of preparation...I followed Michel a lot, so I watch a lot of movies—silent movies, but also Hollywood movies. What was important for me was finding a way to be an American actress, which I’m not. I’m from Argentina, not even French, so I have a lot of contradictions. So I watch a lot of Murnau and Borzage and Janet Gaynor obviously, because she did a lot of silent movies and won the first Oscar actually. My inspiration came from a lot of movies and especially from Joan Crawford, the early Joan Crawford when she was 20, 25-years-old. She was very crazy and had a lot of freedom and she dances very well. I think I watched videos of her dancing on the Internet like 100 times. And her leg is going there and there and her arms! She was very cute and adorable, and I thought Peppy had to have this adorable thing that men and women can relate to her and love her. I really wanted her to be someone you want to become to be a star. So I had to find something with a lot of spontaneity and energy. Peppy comes from Peps, so I had to find the “Peps” of the Peppy. Then I watched a lot of Marlene Dietrich, which is not [the character], but Marlene had something very special. Every time she came into the frame, she had something very animal, very intense, without doing anything. The way she winks. I watched so many winks. That’s the only thing I practiced: the winks, and the wiggle…and the tap! That was my true inspiration. I also read a book: Gloria Swanson’s autobiography, which was very important to me, because she talks about the beginning of the industry. She was an amazing woman: she did the silent era, and the talking, and then TV, and I just learned about Hollywood, the way there were so many movies being shot at the same time, and how you prepared a role in two days. Everything was so prepared: the hair, the makeup, the clothes. And how the studio just takes someone and makes them a star. It was great, but at one point Jean was like “Forget Joan, Marlene, and Gloria, and just focus on you!” So after six months of working, watching, and reading, I focused on me. Jean Dujardin: I saw a lot of movies—Douglas Fairbanks, like Bernice, Murnau, Borzage, James Cagney films, and Lassie (laughs). 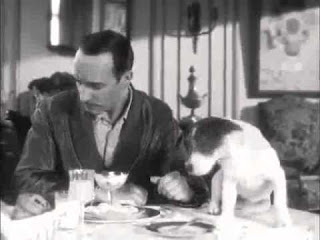 It’s very cute—Uggie [the dog in the film] is my dog! MH: There was an American movie called Sidewalk Stories and it was really cool. There’s also the director from Canada, Guy Maddin, who does a lot of silent movies. The thing for this film I wanted to do here was something mainstream; I didn’t want to do something experimental. I really have to credit the producer, because you can do a silent movie but you’re supposed to work in a certain economy, so you have to experimental. This is not an experimental movie. MH: I shot the movie in color, on color strip. But I knew it to be in black and white so I accepted to green sets, purple dresses, and yellow lights. And that was not so nice. I hope that we never use it. Some people asked if we recorded the sound. 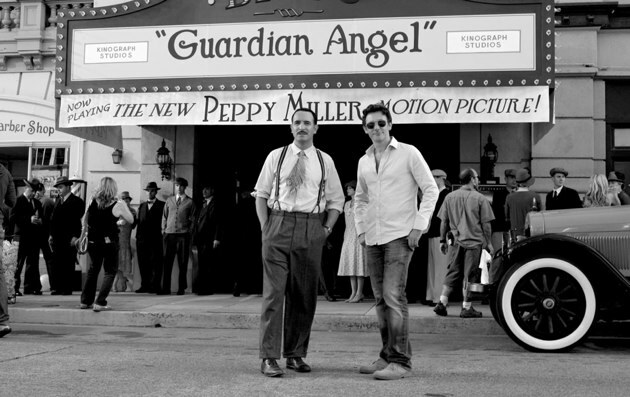 We didn’t—we knew it was going to be a silent movie so it was thought of it as a silent black and white movie. We used color stock because it was easier; we made a lot of tests, and the best was color stock converted to black and white, because of the sensitivity. I think there’s a lot of directors who want to make a silent movie, because it is the ultimate way to tell a story…it’s all images and this is the way you tell a story; you don’t have language, lines to do it. I think I felt confident because I had two successes in France, comedies that were a success with critics and a success with audiences. I really wanted to share the experience of a director because the device of a silent movie, specifically a black and white silent movie, is very special. And the audience participates and becomes part of the process. It’s a sensual experience. MH: I couldn’t cast a kid, but the dog is a real dog. I wanted a dog and I wanted a Jack Russell because I thought it was perfectly the flavor of the 20s. It was more like Tintin. It changed the tone of the movie, of the main character. MH: There’s no irony in this film; there’s no cynicism; my dreams for this film were very ironic and very clever. If I tried to do it [cynically], it would be a “spoof” of silent movie. I decided to do a real silent film in the genre, in the guise of a 20s movie. So there’s no irony. For them, you don’t have to act. I shot at 22 frames per second, so there’s a very subtle acceleration. So there’s this feel of the movement of the 20s. BB: You have a script and you have characters. As an actor, when you look at a script and the character is so beautiful, you just have to interpret the character. And then you have the makeup artist, and the stylist, and the hair, and the costume designer; everybody was so amazing! I remember the costume designer—every morning he would put all the extras in the street and check from the top to the bottom. Everything was so perfect. The makeup artist did a lot of research and the hairdresser too. So for us, as actors, we just came into the characters thanks to the work of everybody. As an actress, when you read the script, it was so good. You don’t have anything to do; it’s all written. You say thank you to the director, thank you to the scriptwriter. It’s the magic, I guess. JD: For my character…it’s my face. Just my face! Smile, smile! It’s like my life. Sometimes I’m happy; sometimes I’m down. BB: We were not tap dancers [before], so we worked for six months everyday. I took dancing classes and tap dancing classes. It was really hard at the beginning and then began to get boring. Then fun again. I love, as an audience [member], to watch something [the actors] don’t know. I feel like they give me a gift. You don’t see the work of an actor when you see the tap dancing. It’s always a lot of fun for an audience. So Jean and I wanted to give you something special, and Michel wanted to film it as one shot. He didn’t want cutting to the feet and someone doing the step. He wanted our faces. The only thing he said was you always have to smile. Because if you smile, people are going to watch your smile and not your feet. I felt like an American actress because American actors they dance, they sing, they act. In France, we don’t learn all those things. JD: I was thrilled to dance. I have been dancing all my life. On the film’s many cinematic influences, as well as the relationship between Greta Garbo and John Gilbert, most notably her first sound film, Queen Christina. MH: Definitely. Especially that part, when she broke into the talkies, and he stayed in the silent era. She wanted to help him. The difference was it was not so bad. I used that part, but there are a lot of references. I didn’t try to do a movie had a lot of references. Working on the script and watching a lot of movies, I used some things I saw in other movies. I really wanted to do not just an homage to the silent era; I wanted to evoke all the classic movies. So that’s why you have Citizen Kane, Sunset Blvd, a lot of movies from the 20s to 50s. All the lights and the cinematography were to contrast soft lights with strong backgrounds. During the sound test is the light from the 1950s. But I wanted to do was tell my own story. If something helped me to tell my story, I used it.